Sophomore, Madison Coleman, flying her way to first place. 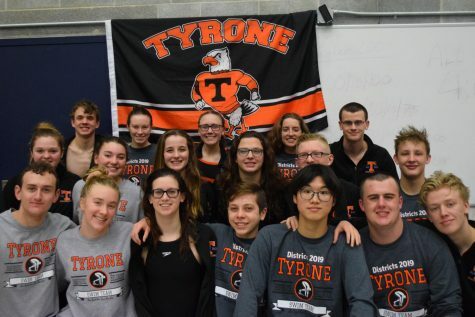 The Tyrone boys beat Huntingdon for the first time in recent memory on January 29th. The boys edged out Huntingdon 89-79. The girls broke the 100-point barrier, dominating 101-69. “The boys team winning was huge. 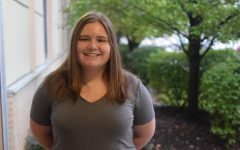 It really makes the whole team more confident in our abilities to win more challenging meets,” said senior Hannah Gampe. 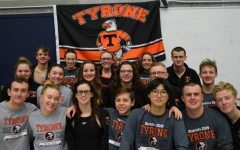 Mae Decker, Maddie Coleman, Fiona McConnell, and Sarah E. Hoover earned two first places in the 200 medley relay and the 200 free relay. Double winners from the girls team were McConnell and Coleman. 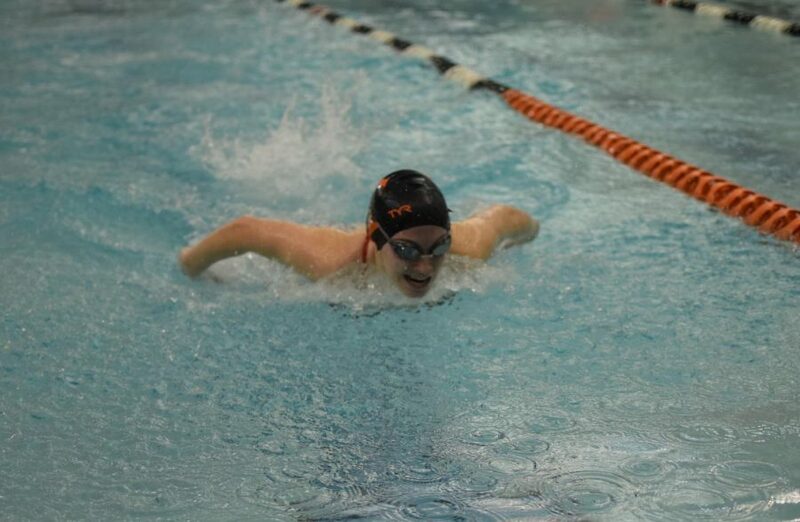 Junior McConnell placed first in both the 50 free (27.81) and in the 100 breaststroke (1:16.19). Sophomore Coleman won the 100 fly event (1:08.82) and the 500 free event (5:54.94). “Something good was how everyone on the teams came together to secure the win. It was close during the break, but we all worked hard to widen the gap,” said Gampe. M. Decker secured a first place in the 200 free (2:13.51) and a second place in the 100 back (1:05.17). 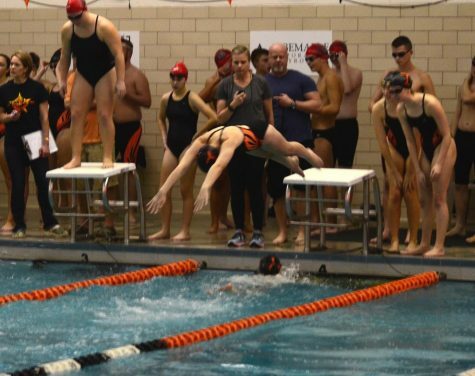 She also dropped four seconds from her previous time in the backstroke event. Sophomore S.E. Hoover worked for a second place in the 100 breast. She improved by two seconds from her previous time for a finishing time of 1:16.94. 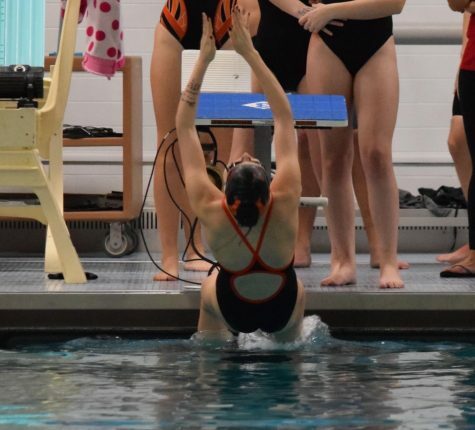 Junior Cate Baran stole second place in the 50 free (28.90) and third place in the 100 free (1:04.20). Victoria Reese took second place in the 100 free (1:03.09) and third place in the 100 back (1:11.43). 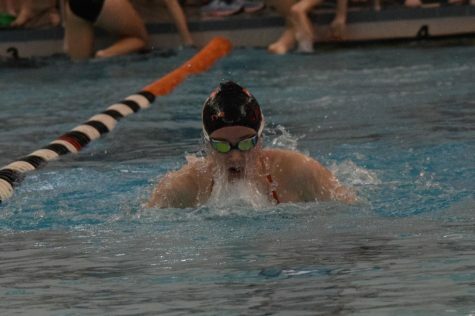 Freshman Sarah M. Hoover earned two third places in the 200 free (2:24.61) and the 500 free. She dropped three seconds in the 500 with a final time of 6:42.01. Isabella Rhoades placed third in the 200 IM with a time of 2:52.31. 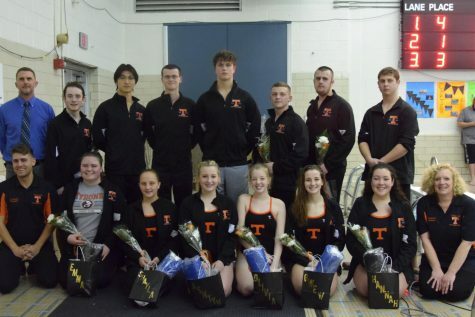 “[This meet] showed everyone how hard we could push to get the win. 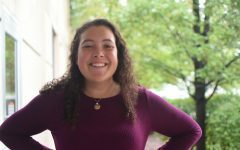 We [need to] keep pushing to get wins and I hope everyone gets good times, so we can make Districts,” said junior Callie Maceno. Gampe dropped 12 seconds in the 200 free for a finishing time of 2:57.69. In the 200 IM, junior Madelyn Diebold worked off 15 seconds. Her finishing time was 3:13.16. Freshman Ellie Oakes improved by two seconds in the 100 fly for a final time of 1:25.04. 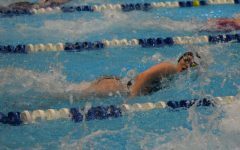 Bishop Guilfoyle junior Sarah Manna worked off two seconds from her previous time in the 100 free. Her final time was 1:07.60. 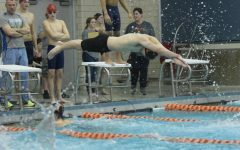 The team of Jacob Decker, Matt Lenze, Songmian Wang, and Hjalte Skov placed first in the 100 medley relay. The only double winner from the boys team was Bishop Guilfoyle Danish exchange-student Skov. He won first place in the 100 free event (53.30) and 100 breast event (1:11.11). 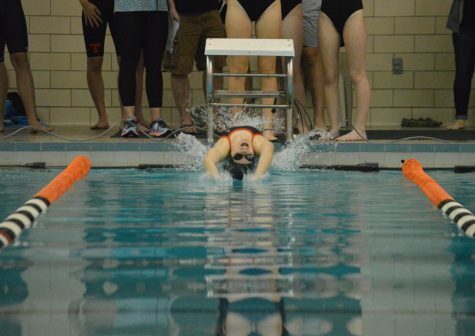 Chinese exchange student Wang earned a first place in the 200 IM (2:19.50) and a second place in the 100 fly (56.42). “They’re a really strong team, and I’m happy that we were able to beat them. It’s a huge morale booster knowing that we can face the best in the area and win,” said junior Nick DelBaggio. Freshman Parker Bayard secured a first place in the 100 back, where he dropped two seconds from the previous meet. 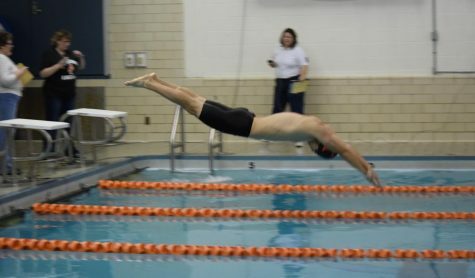 His final time in the backstroke was 1:00.66. 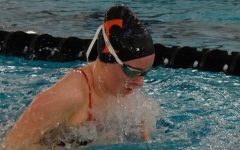 Bayard also placed second in the 50 free (24.12). Senior J.Decker stole two second places in both the 200 free (1:58.77) and 100 back (1:00.99). Bishop Guilfoyle junior Lenze earned two third place in the 100 fly (1:07.05) and in the 100 breast (1:13.36). Sophomore Colin Yaudes took third place in the 200 IM with a 2:34.06 time. Senior Carter Maceno placed third in the 500 free, dropping 13 seconds from the previous meet for a final time of 6:20.14. He also worked off two seconds in the 200 free for a finishing time of 2:19.94. N. DelBaggio improved by seven seconds in the 200 IM for a final time of 2:35.72. He also worked off three seconds in the 100 back. His finishing time was 1:14.80. Sophomore Aden McCracken dropped three seconds in the 100 fly. His final time was 1:19.14. “My hopes and goals are to close out the season strong and to keep trying to improve until it’s over,” said Bellwood senior Brendan McCaulley. In the 100 free, McCaulley improved by three seconds for a finishing time of 1:15.04. Ben DelBaggio worked off 23 seconds from his previous time in the 500 free for a final time of 7:31.56.